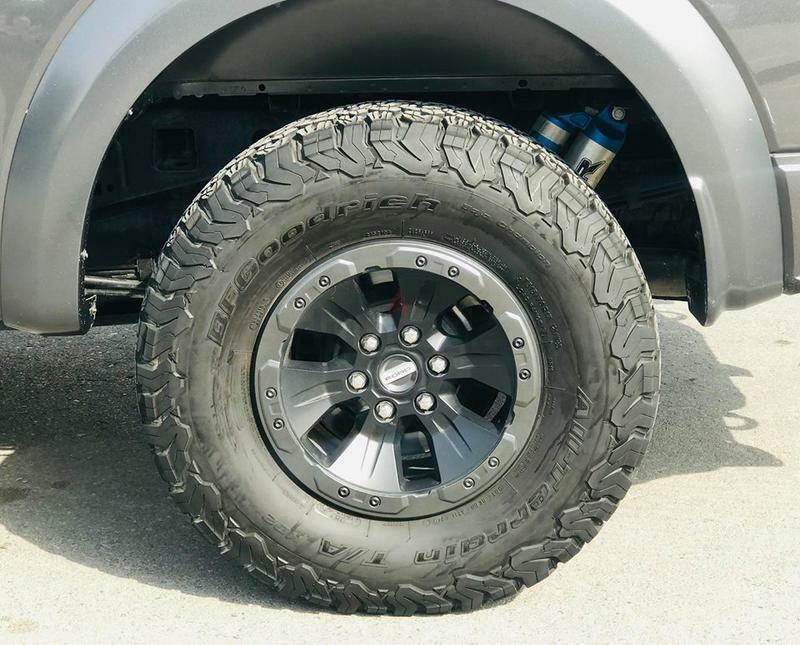 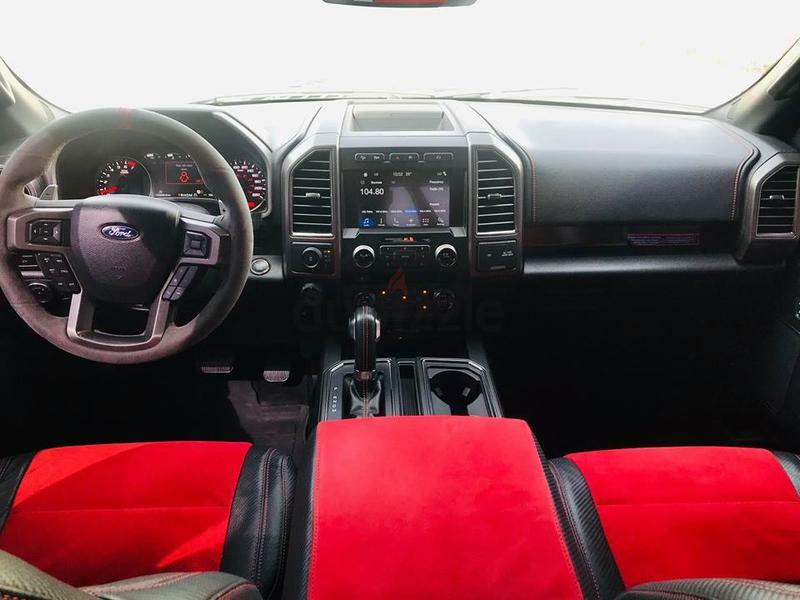 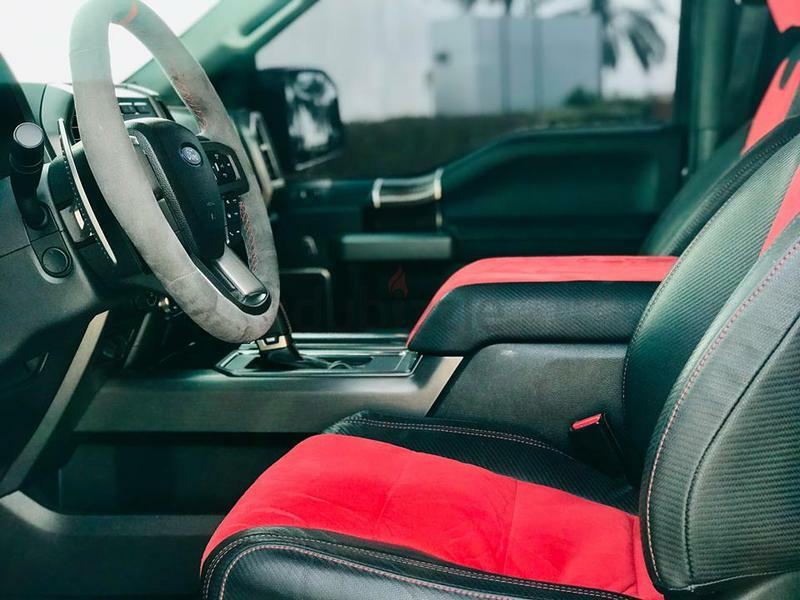 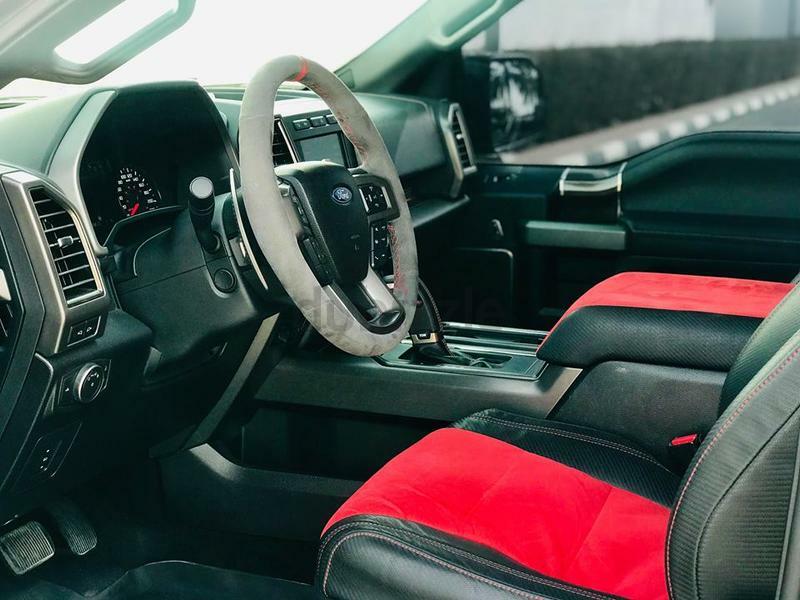 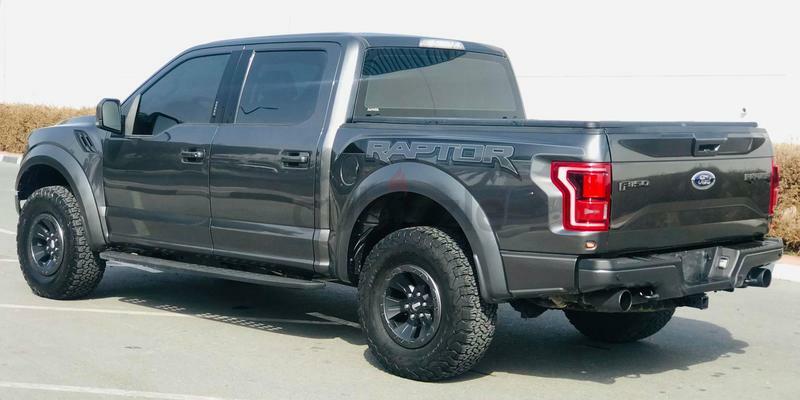 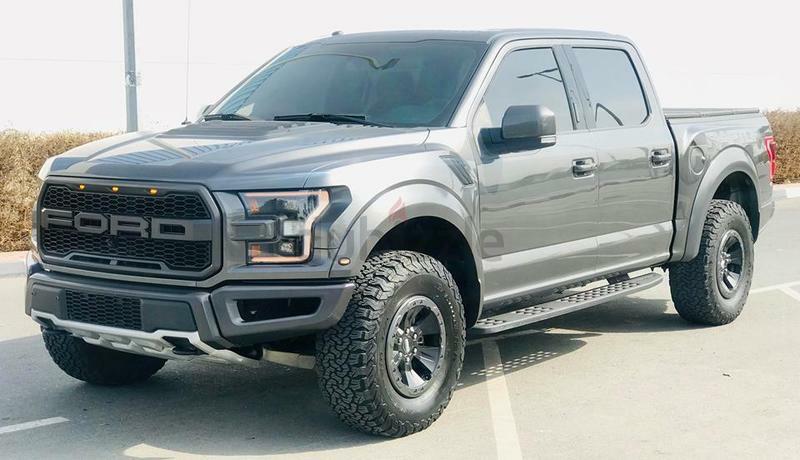 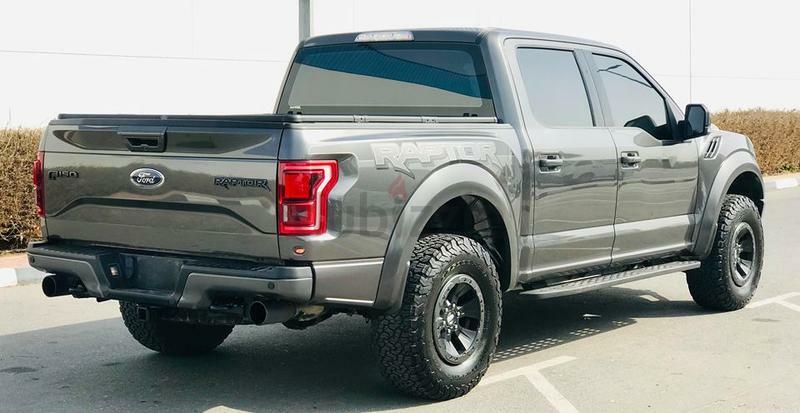 Used Ford Raptor for sale in Dubai with finance options. 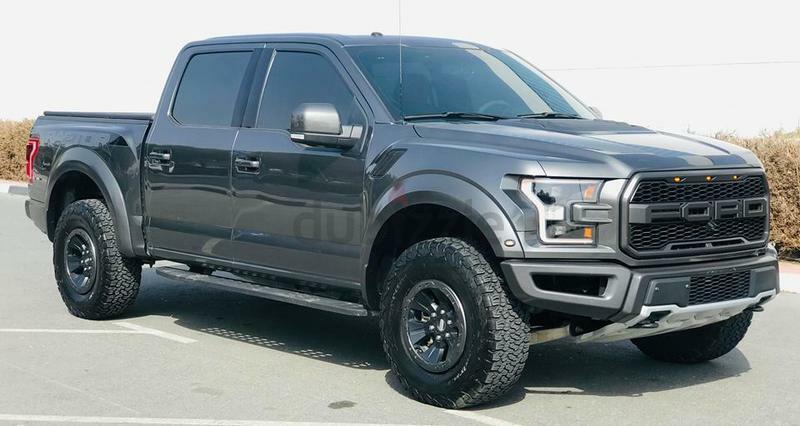 Grey/Silver 2017 model, available at Royal Motors. 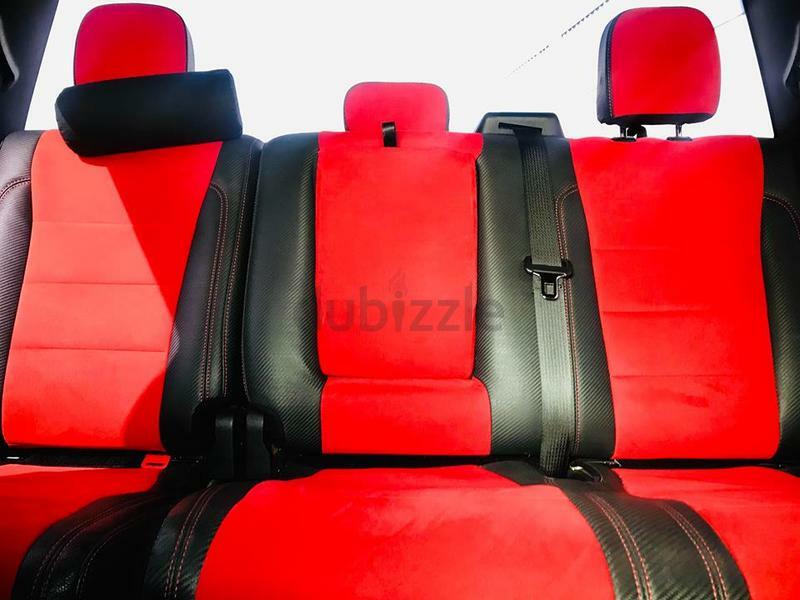 This car has automatic gearbox, a 6 cylinder engine, 20″ wheels and red interior. 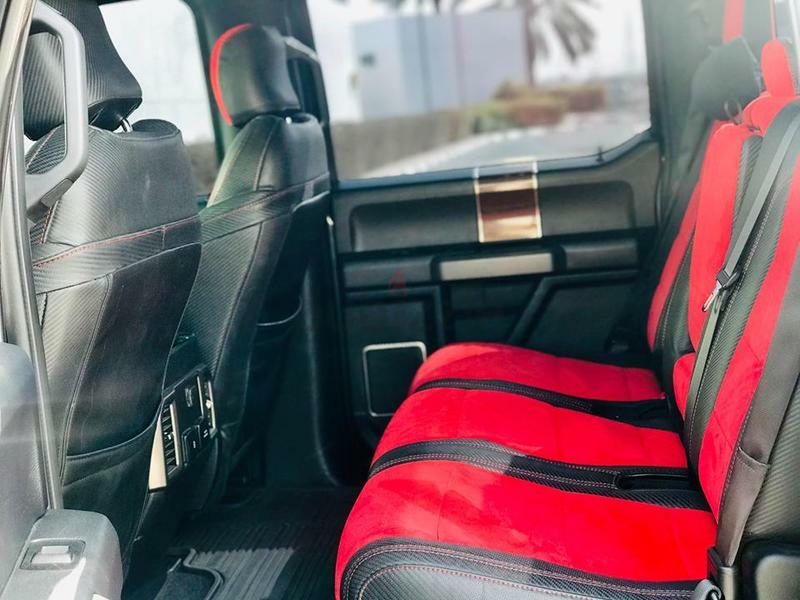 The car has GCC specs.